A key Greenlandic politician will resign from parliament in order to become director of the 2016 Arctic Winter Games in Greenland. Thirty-seven-year-old Maliina Abelsen, who is the former minister of finance, will step into her new role on 1 September this year. She said that she is excited about working on a project that hopes to create positive energy and unity within society. She went on to say that to ensure the 2016 Arctic Games are a success, it is important for unity between public and private organizations and society. She added that she looks forward to working towards achieving these goals. Abelsen, who participated in the cross-country skiing event at the 1992 Arctic Winter Games, said that she wants to make sure Greenland can be satisfied and proud with how it hosts the event. Part of her role will be recruiting 1,400 volunteers to assist with the staging of the games. 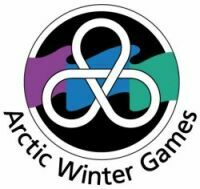 The last time Nuuk staged the AWG was in 2002, when events were split between Greenland and Nunavut. The ice hockey games in 2016 are due to be held in Iqaluit. In addition, because of Greenland’s lack of sporting infrastructure, six events are set to be dropped from the normal list: curling, figure skating, speed skating, gymnastics, dog mushing and midget hockey. However, Nunavut, Yukon, Northwest Territories and Alaska recently released a joint statement saying they would host a separate event to accommodate the sports that have been dropped from the games.